"Located in a centre of town, near malls and all amenities." 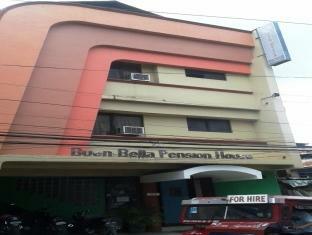 Have a question for Buen Bella Pension House? "The location is also near shopping centers and restaurants and a few minutes walk away from cafes." 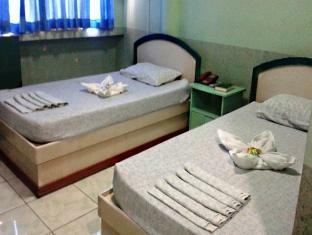 "The place is a good location only minutes away from the airp..."
Designed for both business and leisure travel, Buen Bella Pension House is ideally situated in Tagbilaran; one of the city's most popular locales. The hotel lies 8.2 km from the city center and provides accessibility to important town facilities. With its convenient location, the hotel offers easy access to the city's must-see destinations. Take advantage of a wealth of unrivaled services and amenities at this Bohol hotel. 24-hour room service, daily housekeeping, 24-hour front desk, Wi-Fi in public areas, car park are just a few of the facilities that set Buen Bella Pension House apart from other hotels in the city. The hotel features 15 beautifully appointed guest rooms, many of which include internet access – wireless (complimentary), non smoking rooms, air conditioning, desk, television. Besides, the hotel's host of recreational offerings ensures you have plenty to do during your stay. Whatever your reason for visiting Bohol, the Buen Bella Pension House is the perfect venue for an exhilarating and exciting break away. I didn't think much as when we entered, the reception area was dark and it took us a few minutes to get to our room as they had to change the center light. When we got in though, I was surprised that it was clean and spacious. I love the many cabinets there. They also offered free breakfast downstairs. That place was clean, too. I'll definitely go back to that place. 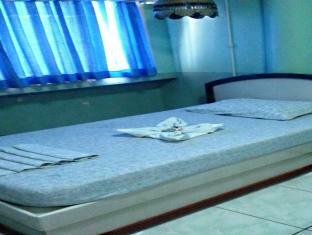 This is large, cozy room, nice place, good free breakfast! But: Don't have remove for TV, don't have europeian sockets, only one light bulb works, so in the evening the room is dark, don't have toilet paper. This has been a very nice hotel once, probably before I was born. Currently the showers were rusty and did not operate properly, water from the sink was dripping everywhere, the mirror was very dirty, the whole place seems as it needs urgent renovation and the free breakfast was awful (first time I complain about food in the Philippines) in a side restaurant that did not bother to clean tables much. Great staff though - very friendly, very accommodating, there even lent me a charger (as the hotel still keeps only older sockets, not the modern ones that can accommodate different types of plugs and are throughout all the country). Totally did not justify the cost which I paid. need to clean their room especially the cr. 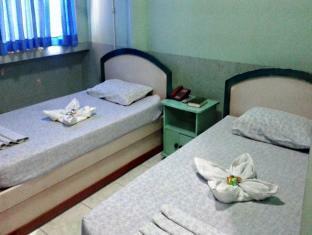 room is smelly especially in the 2nd flr - might be smoking room. curtains need to be washed. need to provide complimentary bottled water. Toilet needs to be repaired. I enjoyed my stay at Buen Bella even I'm alone because of the nice staff. The room was okay and there's a security downstairs.. The place is a good location only minutes away from the airport. The location is also near shopping centers and restaurants and a few minutes walk away from cafes. Do not expect too much on the food, it's a typical breakfast "+silog" style. It's also a good starting point to explore the main Bohol Island and Panglao Island destinations. Also, there is a moldy smell in the room so be sure to let fresh air circulate every once in a while. There was a hot and cold shower and bathtub but be careful and have them check the water heater for any leaks to avoid accidents specially if you have kids coming along. They also have, airport transfer services and their driver will wait for you at the exit area holding their placard, just be sure to provide your flight details. So, if you're on a budget and focused more on the touring part and souvenir purchasing of your trip, this place will be a great choice in order for you to save and enjoy touring more places. Be sure to ask them upon booking a room to have you assisted renting a motorbike if you are interested since they have contacts offering cheap but OK rental motorcycles before contracting from another location. de foto's en de beschrijving beloven meer dan de realiteit; maar goed dat het voor 1 nacht was op doorreis. no so bad as guest comment. Better than expectation with such price. staff are nice. room ok. breakfask soso. location very close to sea port. shower too small. But it's really value choice, esp for single guest.